Why Do Cats Suddenly Attack Whilst Being Petted? One moment you are having a loving moment with your cat, gently stroking their soft fur while they purr – the next, their teeth are embedded in your hand and you are shouting in pain. Why do cats suddenly transform into tigers without any apparent reason? Whilst it may seem like your cat is a bully when they latch on to you, most of the time cats use aggression as a defence mechanism – even when it comes to their owners. A cat that feels cornered or stressed will attack to escape the situation that is troubling it at the time. It is often the case that cats give subtle warning signals before they bite. While they are entirely obvious to other cats, they are easily missed by their human friends. A small twitch of the tail, ears flicking back, whiskers pushing forward and a shudder of the skin are all signs the cat has had enough petting and would like to be left alone. If you unwittingly continue to hug and touch them, from the cat’s point of view, they have been rudely disrespected and may start to become claustrophobic, feeling ‘trapped’ in your arms. Lashing out to escape suddenly may seem like a necessity, much to your surprise. 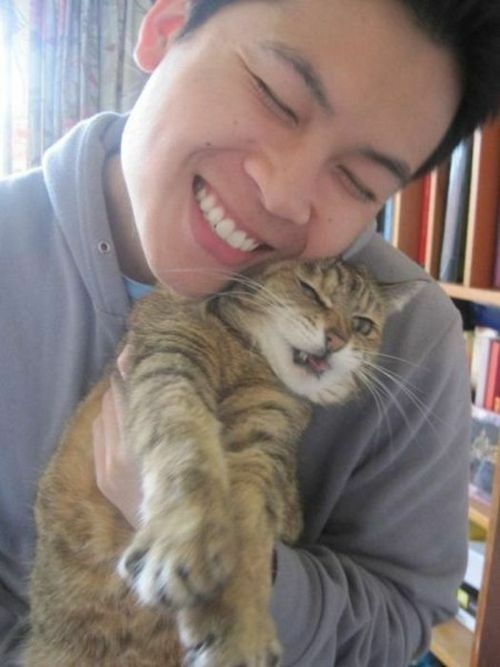 Cats may also suddenly scratch or bite due to ‘displaced aggression’. Displaced aggression is when a cat scratchs and attacks a person or other animal when feeling upset, even if something else, not the target, was responsible for their distress. Hearing a dog barking in the distance or another strange noise may cause your cat to attack you and run off, even if you did nothing worthy of punishment! 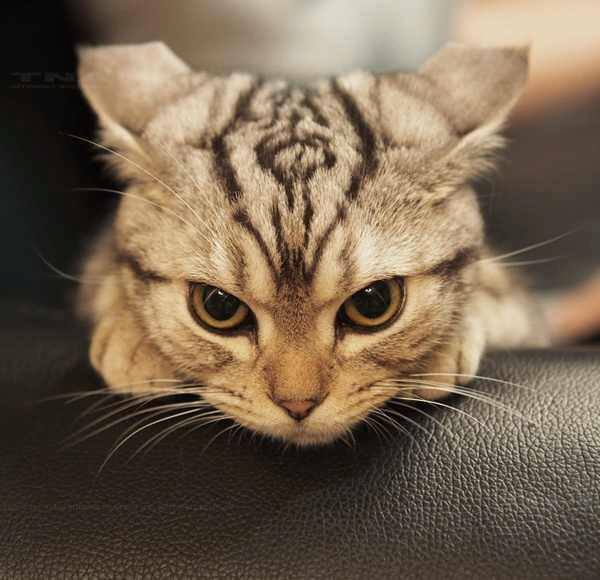 Some cats are particularly prone to Dr. Jekyll and Mr. Hyde mood swings and their owners must simply learn to expect a petting session might turn painful. In terms of discouraging the behaviour, some have found keeping a treat close by before they settle down for a cuddle can help. 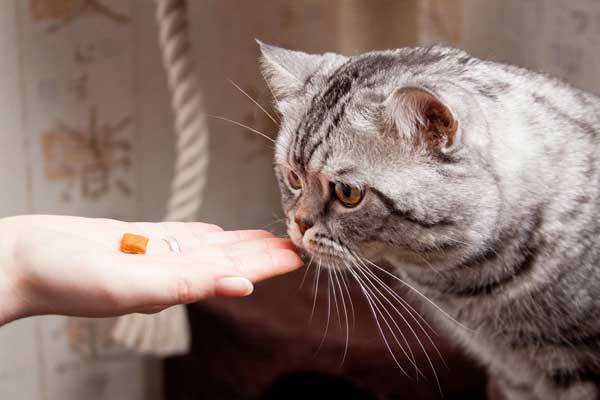 As soon as the cat displays any sign their mood is shifting, giving them a treat can distract them from whatever strike they were plotting and teach them to learn to expect feelings of discomfort will lead to a positive rather than the emergence of something that threatens their wellbeing.